Amidst the excitement of Meiomi's latest 92 point Wine Spectator rating I was sleuthing around their website and noticed some interesting developments. First, Meiomi is now a distinct brand, separate from Belle Glos. Historically Belle Glos was the single vineyard Pinot Noir in the Wagner Family's portfolio. Meiomi was the appellation bottling within the Belle Glos brand. But now, Meiomi is the flagship brand for a new family of wines called Copper Cane Wines & Provisions. Belle Glos remains a Wagner family brand. The Provisions in Copper Cane is swimwear and cigars. Second, Meiomi has release a Chardonnay. I'm not a big Chardonnay guy so I didn't write about it when I tasted it recently, but it's "very good" for my taste. Wine Spectator liked it quite a bit: 90 points the first vintage of Meiomi Chardonnay they've rated. At $22 retail it's a good buy. Third, Elouan is a new wine in the Copper Cane portfolio. It's kind of like the Meiomi of Oregon Pinot Noir. Sourced from a diverse set of vineyards it promises to deliver rich and complex wines. Elouan means "good light". The bottle shape and enclosure is identical to Meiomi and you know what? It tastes and smells strikingly similar too. Visually, the wine is "pushing it" in terms of how dark an Oregon Pinot should be, but it does present appealing radiance. On the nose and in the mouth-feel is where this is most similar to Meiomi. Hints of plum and cherry tobacco atop more typical Pinot Noir notes. The smooth yet vibrant texture is strikingly similar to Meiomi. Overall, very similar to Meiomi with a little less fruit. Given that this costs a bit more than Meiomi (and with much lower production levels, so expect street prices to be higher) I don't see myself buying as much of this as I might otherwise. 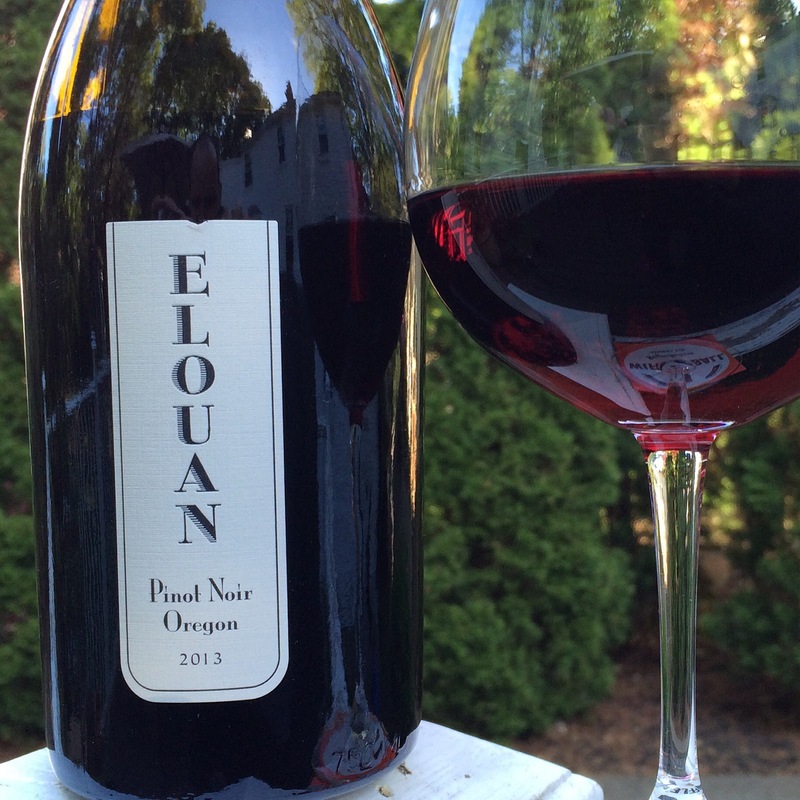 It's a nice bottle of Pinot Noir for under $20, but Oregon Pinot purists maybe not (probably won't) like it. I'll be watching for this over the course of the next few vintages to see whether it develops its own personality. I'll look to write more about Copper Cane and other new brands in their portfolio in an upcoming post.